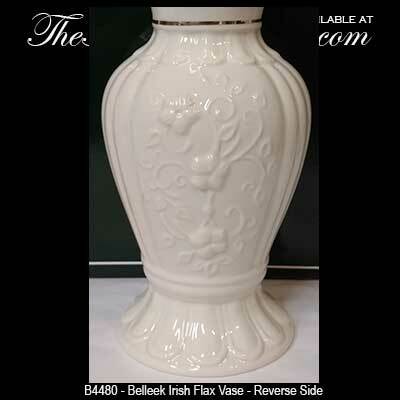 The Belleek China Irish Flax Vase features hand painted shamrocks and an embossed design on the reverse side. 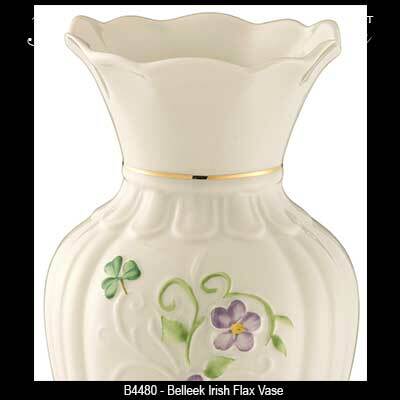 The Flax Vase was introduced in 2016 and features Belleek's hand painted shamrocks. 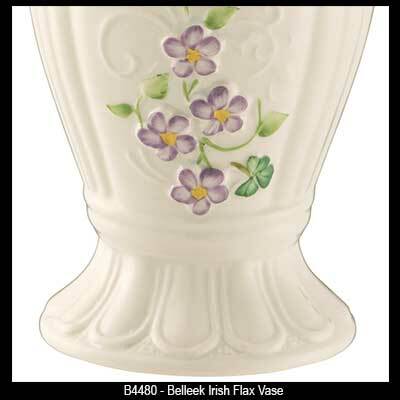 The Belleek flax vase features painted flowers and gold accenting along with green shamrocks and measures 3 1/2" wide x 7" tall. 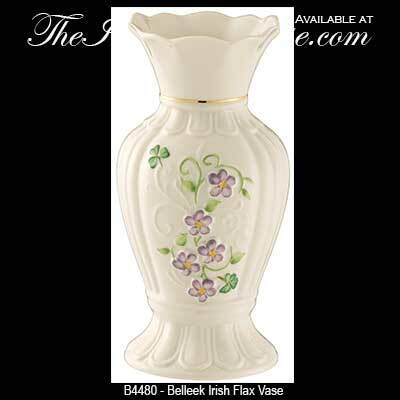 The Irish china vase is gift boxed with a shamrock history that is complements of The Irish Gift House and is handmade and hand painted in Belleek, Ireland. The flax plant is used in the production of Irish linen and flax farming was once a major industry in Ireland. Belleek China Irish Flax Pitcher features hand painted shamrocks along with an embossed design on the reverse side.